We are VAT registered unlike some of the smaller internet suppliers meaning that you can reclaim the vat part of your breathalyzer purchase back. 3. HSE guidance: ‘due diligence’ requirement can be satisfied by a robust drugs and alcohol policy, including education and training, support for those seeking rehabilitation and most importantly - screening procedures in place for all employees. 4. If the employer knowingly allows an employee under the influence of alcohol or drugs to continue working and his/her behaviour places himself/herself or other employees at risk, then the employer could be prosecuted. Don't leave yourself open to prosecution. 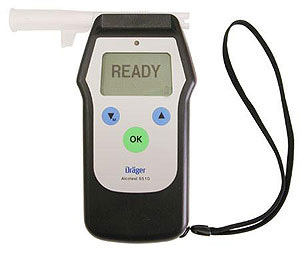 Breathalyzer Direct can supply you with alcohol testing equipment for use in the workplace. Which Unit Should I Buy For Employee Screening/Testing ? Firstly, there is a difference between screening and testing. 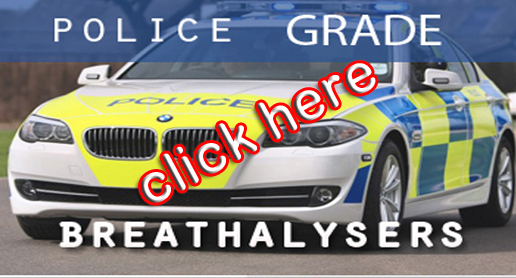 Screening is used to indicate to the employer that an employee may possibly be under the influence of alcohol which may or may not form the basis for further action .Testing is used by an employer using equipment that is more advanced than screening equipment, and will supply a hard print out copy from a Home Office Approved breathalyzer unit as used by UK Police Forces. Breathalyzer units such as the CA20 Pro are decent quality units that can be used as screening units for employee screening purposes. They are both reliable and can be easily recalibrated by a click out/click in sensor change. They can be used as the basis for further action to be taken if required. We can also offer a truly great value device which has an integral printer and is in use with numerous employers and Police forces Worldwide. This breathalyser is called the Alcovisor BAC100. It is a Police issue device offering a hard test printout result and is an excellent solution for employers. A Breathalyzer unit such as the Drager 6510/6810 series is Home Office Approved and is used by UK Police for roadside breath testing. The 6810 series can be attached to a printer for definitive, hard evidence which could be used in an Employment Tribunal should the need arise. It does not come any better than Drager ! If you are on a tight budget and need a screening device then most employers find that our CA20 Pro Kit or Alcovisor Mk X Kit are ideally suited for their needs. These packs contain a breathalyser device, extra mouthpieces and in the case of the AL6000/AL7000 a spare precaliibrated sensor. Extra sensors can be ordered separately at a later date if required. Another option, for Police accuracy levels is the Draeger 3000. If you need unrivalled accuracy at police grade level for possible disciplinary use then the BAC100 or Drager units are best suited. It is easy to dismiss the option of a quality device as too expensive but if you are looking for a unit that will hold up at a tribunal or under severe scrutiny then you should seriously consider this option. The cost to your business following a dismissal which subsequently arrives at a tribunal could be substantial if using an inappropriate breathalyser device.